The first popular biography of Rumi, the thirteenth-century Persian poet revered by contemporary Western readers. Like most popular literary biographies, Rumi’s Secret may not be especially masterly as a work of criticism. For those who want a more precise portrait, Franklin Lewis’s scholarly biography remains the definitive work. But Gooch’s book is nonetheless useful. He braves his own translations, and situates Rumi in the broader context of his time and place: a moment of vast creative productivity in the medieval Islamic world, where Sufis were pushing the boundaries of orthodoxy ... Gooch’s biography brings the political and intellectual tumult of the early medieval era to life, producing vivid characters out of the reigning Seljuk sultans and memorable portraits of urban experience. But against this rich backdrop, he constructs a Rumi who has been simplified for our secular age ... Rumi’s Secret may be a Lonely Planet guide to Sufism, but it is a sensitive and passionate introduction nonetheless. Now, to rescue Rumi from this inane Orientalizing comes the poet, novelist and biographer Brad Gooch with Rumi’s Secret. A dazzling feat of scholarship, but a pedestrian read, the book restores Rumi to the glories and hardships of his momentous age ... Gooch manages to paint an accessible, tangible portrait of the ancient poet ... Rumi’s Secret is a strangely dry read considering it has a literally whirling mystic as its subject. As if fearing that too lyrical an approach to such an orphic figure would result in incoherence, Gooch describes this poet’s life in a decidedly unpoetic way ... this book won’t get anyone excited about Rumi. Instead, it will give those already excited about Rumi help in contextualizing his work. 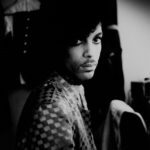 Gooch does an exceptional—if at times overwhelming—job of sussing out the trends and connections that mattered most to Rumi, including the remarkable era for human learning in which he lived ... For a man who wrote poems that read as near mythic today, seeing his influences laid out in such detail could be demystifying. But instead, Gooch’s account adds a human touch to a man who appears larger than life. Rumi’s poems reflect his own, revealing a universal nature through their exploration of grief, love, and pleasure in worship. 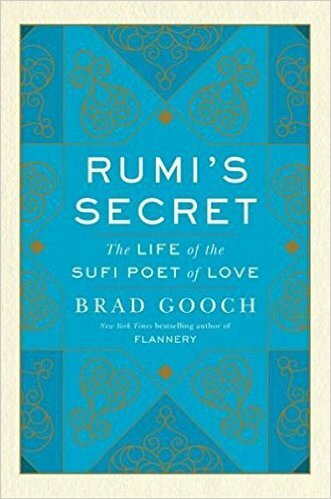 Although Gooch does not identify what Rumi’s titular secret was, it seems that it could be as simple as feeling deeply and sharing it with the world. What did you think of Rumi's Secret: The Life of the Sufi Poet of Love?